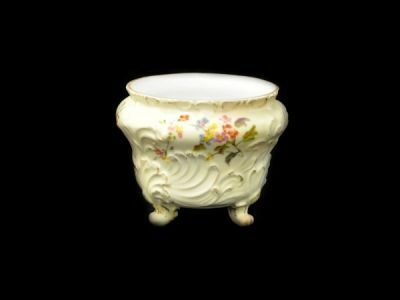 Footed Victorian jardinière with a typical ivory background. No marks. Stands 10.5 cm tall.